Have Elite Landscaping and Sprinkler Repair install your low voltage lighting similar to the landscaping above. 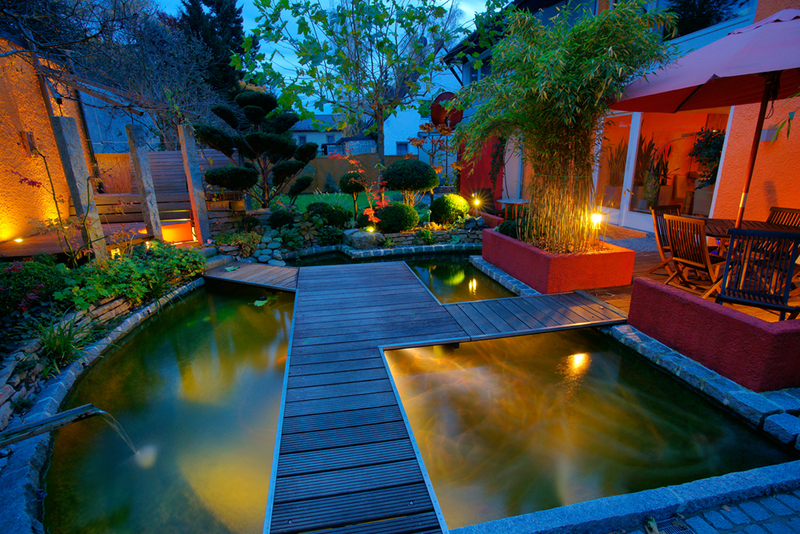 Low voltage lighting enhances your landscaping and can make the most simple landscape look like a resort. Some people will cut this out of their project; because of the upfront cost, but the people that have low voltage lighting installed thoroughly enjoy the effects. To start out with a basic system that has future expansion build into the design. The newest product in lighting is LED fixtures. Most manufacturers offer a 10-15 year warranty on their lights and this eliminates the maintenance expense of changing bulbs every couple of years. Also, LED lights require less voltage to operate and over a period of time will pay back the initial upfront cost. This is the latest trend in the efforts to save power and reduce global warming.